This vessel has a lot of goodies and has been well taken care of. The vessel is kept under cover and on a lift at the slip, does not sit in the water when not in use. The listing broker has not personally seen the vessel, working directly with the seller to obtain accurate photos and information along with online resources as well. 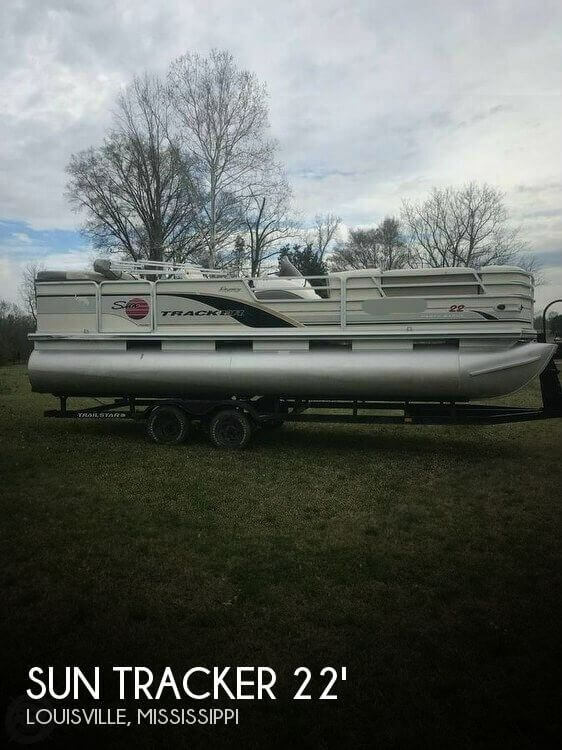 Stock #172350 Get ready to have some fun this summer in this Great condition SUNDANCE Party Barge. Let the good times roll. 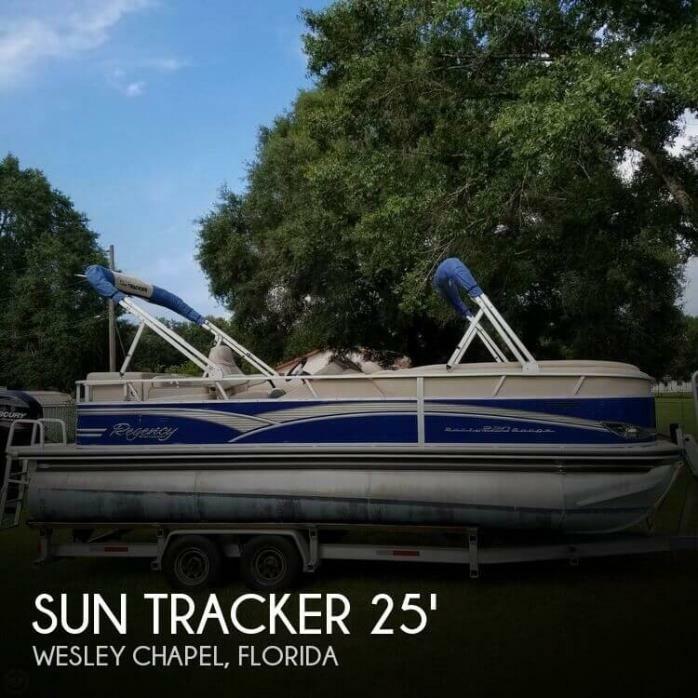 If you are in the market for a pontoon boat, look no further than this 2010 Sun Tracker Party Barge 22 Regency, priced right at $27,800 (offers encouraged). 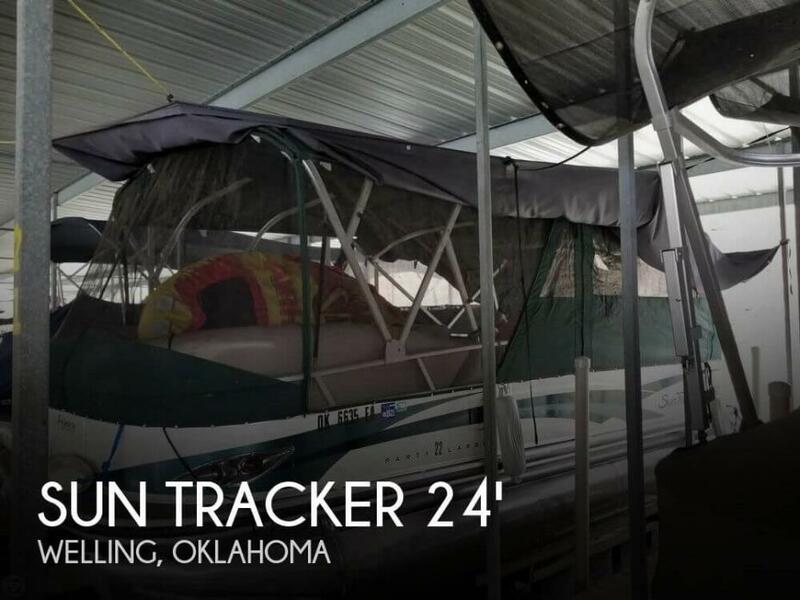 This boat is located in Welling, Oklahoma and is in good condition. She is also equipped with a Mercury engine. Reason for selling is change of plans, have decided to sell, if in the area slip with lift is available. As you can see in the photos this boat is in very good condition. The owner reports that this boat has only seen freshwater which contributes to how clean it is. As you can see in the photos the upholstery is in good condition along with the bimini top. 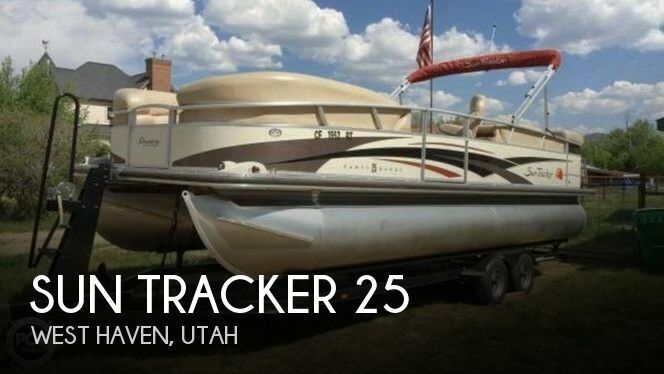 Stock #170250 Very nice 2011 Sun Tracker Party Barge 24! Great for entertaining friends and family! 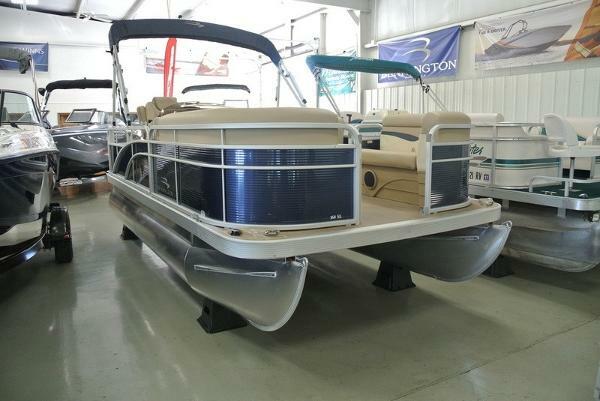 If you are in the market for a pontoon boat, look no further than this 2011 Sun Tracker Party Barge 24 Classic, just reduced to $19,500 (offers encouraged). 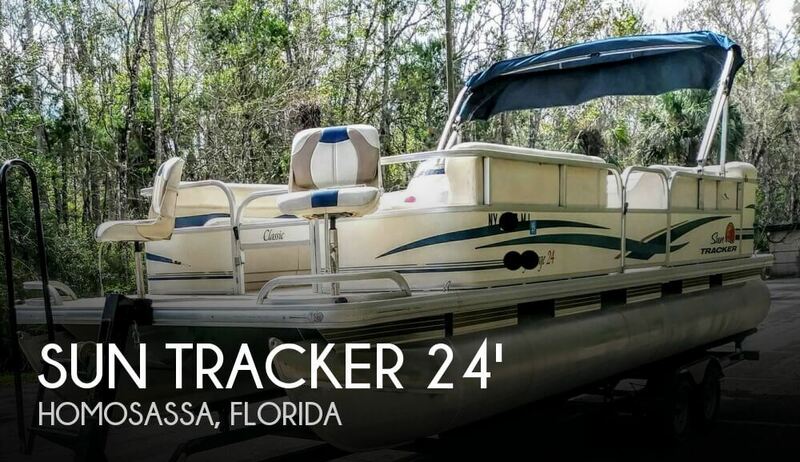 This boat is located in Homosassa, Florida and is in great condition. She is also equipped with a Mercury engine that has 430 hours. Reason for selling is financial. 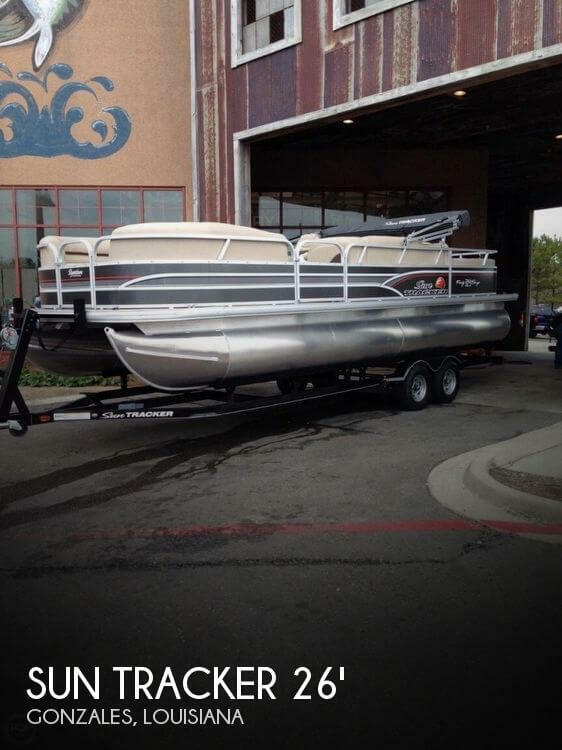 This 2013 220 regency by Sun Tracker is sitting on a 2014 aluminum trailer with low hours and a double Bimini. All equipment appears to be operational and in great shape. 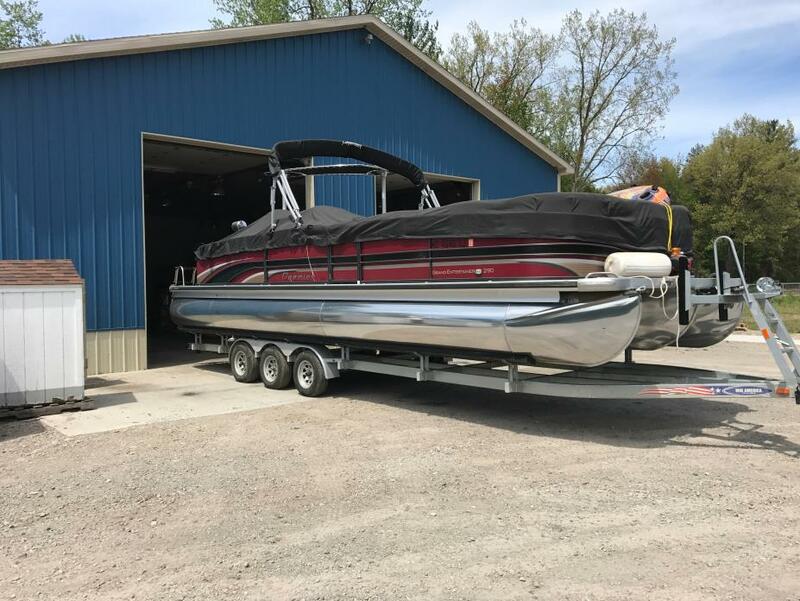 Per the Seller: Always serviced and maintained Stock #135920 Performance and Luxury Party Barge. 4 Stroke Outboard! Ready for Fun on the Water! Trailer Included! If you are in the market for a pontoon boat, look no further than this 2013 Sun Tracker Party Barge 220 Regency, just reduced to $27,000 (offers encouraged). This boat is located in Dade City, Florida and is in great condition. She is also equipped with a Mercury engine that has only 190 hours. Reason for selling is purchased another boat. The owner is meticulous..........a neat freak. This boat is very clean and appears to be well maintained. 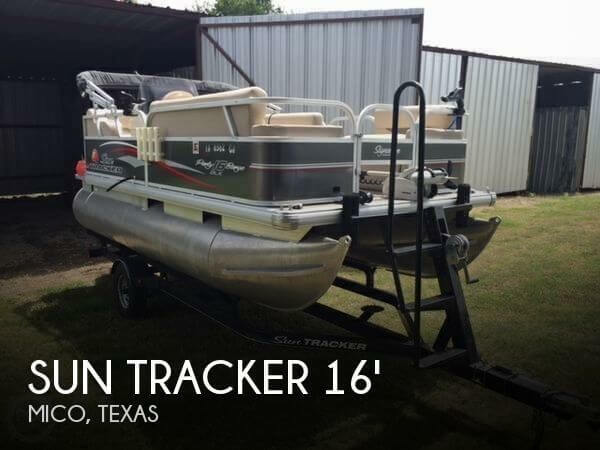 This SUN TRACKER 16 is stored in a fully enclosed boat storage facility, always protected from the Texas weather. I found the vinyl seating to be in excellent condition. The pontoons are polished, the engine is clean. The boat looks very fresh and nice. The MERCURY BIG FOOT engine is super clean. Stock #084119 In Covered Storage! Less Than 50 Hours! Custom Live Well! Lowrance Side View Depth Finder! 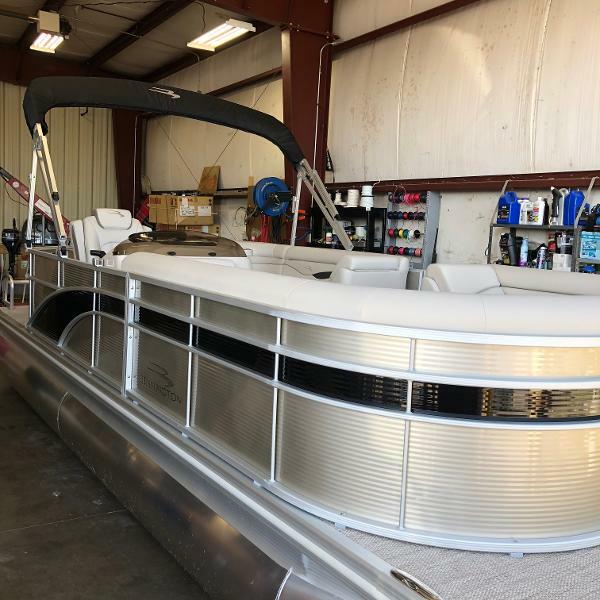 If you are in the market for a pontoon boat, look no further than this 2015 Sun Tracker 16 DLX Party Barge, just reduced to $18,998 (offers encouraged). This boat is located in Mico, Texas and is in great condition. She is also equipped with a Mercury engine that has only 50 hours. Reason for selling is buying a bay boat.